My last story time of the fall 2014 semester was our holiday story time. We started off with “If You Want to Hear a Story,” and I introduced the theme, even though it needed no introduction by this point in December. The kids were already really excited about it and, considering I came in wearing a Santa hat, they knew what the theme would be. I love this book! I think it’s adorable and can appeal to the kids and the parents. 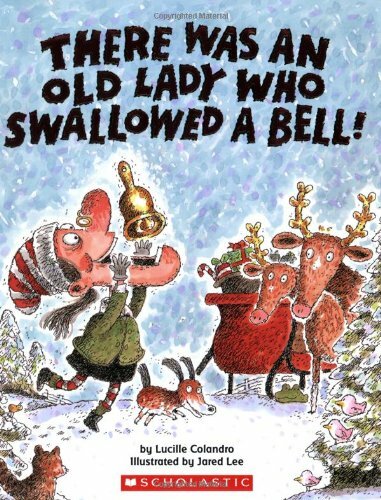 Some of the classes I read to this week didn’t really understand why it might not be awesome to have Christmas 24/7, but they did like the book. It’s funny, smart, and it teaches a good lesson. It is a bit on the long side, so I’d either cut it down (which is fairly easy to do) or use it for older groups. Then, since Santa didn’t make an appearance in our first book, I sang a riddle simply titled “Whose” from Preschool Education. Guess whose beard is long and white. Long and white, long and white. Guess whose suit is red and white. Red and white, red and white. Guess who comes on Christmas Eve. Since Santa brings his reindeer, we followed that with a “Rudolph, Rudolph Flannel” that a former youth facilitator made and left. I found the words in OCPS. Rudolph, Rudolph, what will you do? You can’t guide Santa’s sleigh if your nose is BLUE! 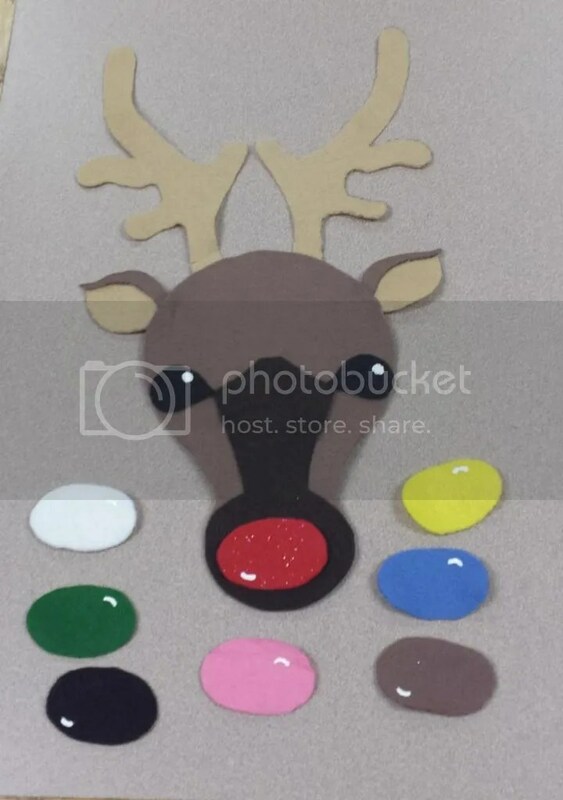 Rudolph, Rudolph, you’re such a silly fellow. Who will know it’s you if your nose is YELLOW? Through the wintry weather if your nose is GREEN. But what will he say if your nose is PINK? But you can’t see through the snow if your nose is WHITE. But you can’t help Santa if your nose is BROWN. But you’re not ready if your nose is BLACK. And now we can get on our way because your nose is RED. Then, we just had to sing “Rudolph the Red-Nosed Reindeer,” of course! The kids always love Miss Edna, and this particular story was a big hit too! 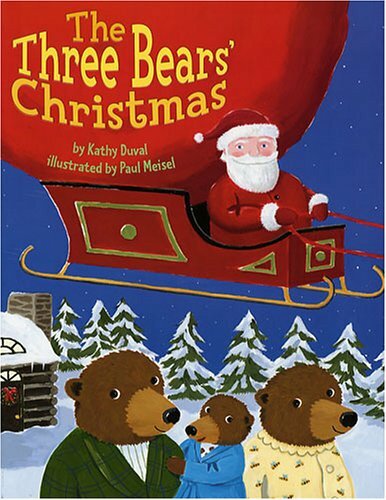 This is a very cute twist on Goldilocks and the Three Bears. Surprisingly, I only had about two classes who guessed that it was Santa who was wreaking havoc on the three bears’ home. That made the ending more fun, though. 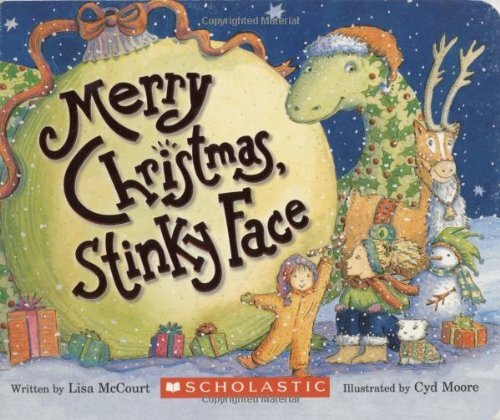 It should be well-known by now that I love Stinky Face. 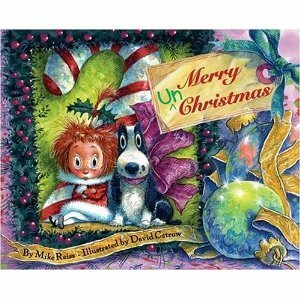 I’ve used almost all the books in my story times and one point or another, and the Christmas version is no exception. I love the idea of leaving out paint, boots, gloves, a saw, and all sorts of other emergency items Santa might need, and the innocence of these books is beyond adorable and cute! The kids love them for being silly too. Then, we got to be reindeer with “The Reindeer Pokey” from The Perpetual Preschool. You put your antlers in. You put your antlers out. You put your antlers in, and you shake them all about. You do the Reindeer Pokey, and you turn yourself around. Then, we sang “We Wish You a Merry Christmas” and our “Goodbye, Goodbye Song,” and that was the end. I gave out candy canes and other Christmas treats to everyone at my outreach story times and my walk-in story times. Our craft this week was very simple. 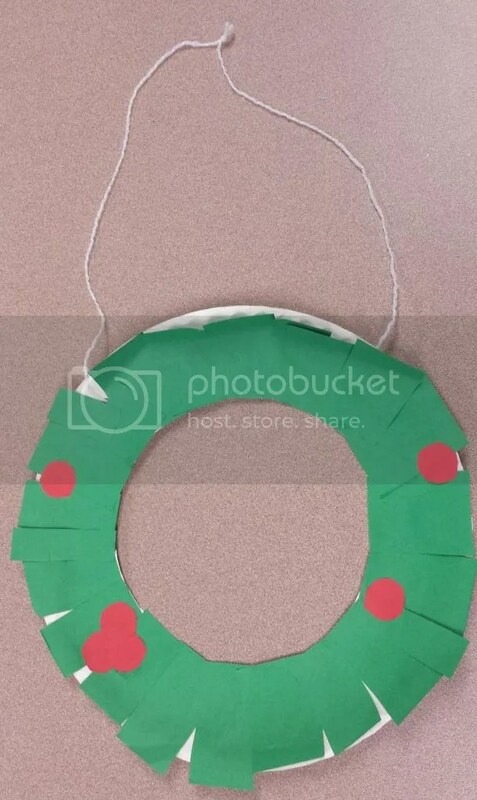 All I did to prep it was to cut a circle out of the middle of some paper plates, hole punch them, and cut up some green and red paper for leaves and berries, and they could make their own paper wreaths to hang at home.